Following on from the phenomenal success of the Health & Nutrition Bible series on the Sky Active Channel 281, Laura is delighted to launch the sale of her DVD set which contains 7 of her shows. 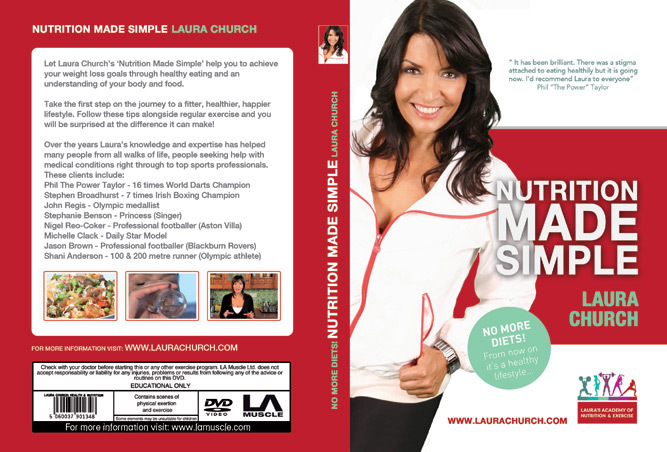 In the Health & Nutrition Bible, you will quite literally have Laura in your home, telling you how to get fit, healthy and overcome chronic ailments. * Whatever your sport, job, goal or lifestyle, you will find this DVD set extremely useful and great value for money. Note: An official receipt will be automatically generated & sent to your specified email account’s inbox upon completion of your online payment.